Beachfront restaurant only 5 metres from the water's edge. 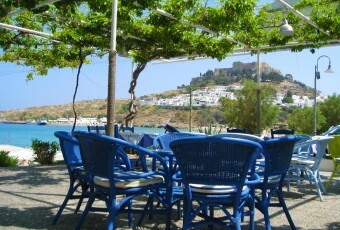 Open all day from 9:30 till midnight, with spectacular views of Lindos village and acropolis. 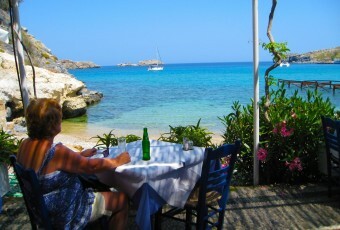 Our cuisine offers fresh fish of the day and dishes made with greek traditional recipes, seafood and italian spaghetti. 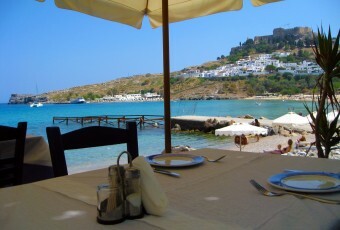 Easily accessible from Lindos main square, with parking outside the restaurant. Day or night Lindos is wonderful. 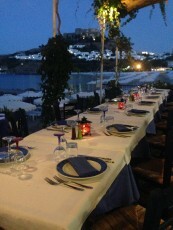 Enjoy your lunch and dinner at Palestra lindos restaurant with the most amazing views of the bay and acropolis. 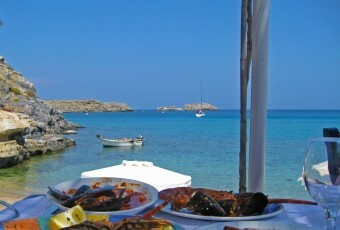 Located on the main beach of Lindos. Visit us the night for your dinner and enjoy your night with good food and wine.